I read an interesting article today on Computer Gaming World’s www.1UP.com about the topic of religion in online games. The article portrays Christian game clans such as Christian Gamers Online and Men of God as forward-thinking groups with an advanced and revolutionary means of communicating – by professing and discussing matters of Christian faith with anyone who will play games with them. Unfortunately, the comments and organizations of the various interviewees professed some conflicting and confusing views that, in my opinion, don’t do any favours for North America’s most populous religion. I wholeheartedly agree that this is a fantastic medium for any social or special-interest group to meet, talk, and reach out to others. With the proliferation of the Internet, video games are growing ever more sociable, featuring co-operative and\or competitive gameplay with the option to sit on the sidelines and yak it up. Online virtual communities such as There and Second Life are not games at all, but exist solely as online forums for interpersonal interaction and discussion. These virtual playgrounds give us the ability to learn about our peers in new ways and subsequently work together to capitalize on each other’s strengths and minimize the group’s weaknesses, all the while discovering and respecting others’ individuality and worth and, simultaneously, the culmination of the group’s effort. The corporate world has adopted this ideology to an extent, as companies sometimes organize retreats to play minigolf or laser tag in an effort to strengthen employees’ collective cohesiveness and teamwork. Online games knock this concept up a notch by decentralizing the forum. With the stage set I present the comments and policies stated by the following Christian online game organizers and designers, and my rebuttal. The biggest argument against the claim that violent video games are harmful is that they are purely fantasy. Opponents of video games attest that not only the subject matter and the context are at issue, but also the interactivity – the action doesn’t happen until the player presses a button. 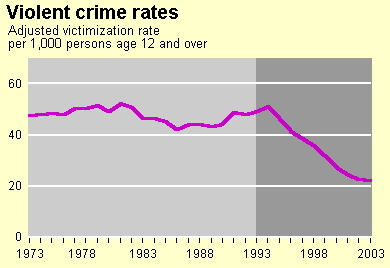 This claim has been contested by many who cite a Department of Justice study proving that American violent crime rates are the lowest they’ve been in decades, and that, for an unexplained reason, they began declining almost immediately after the release of Doom – a violent video game in which the player must combat the forces of hell. Linden’s comments are not only incongruous with the claims of Christian morality groups who decry video games for their violence, but also ignore the proof that violence by all American citizens, presumably including the Christian ones, has decreased exponentially. Linden contradicts even himself by failing to distinguish the line in the sand between reality and fantasy. Sure, violent media has been in vogue since biblical times, but statistics seem to prove that fictional and actual violence are exclusive and have their separate ups and downs. There’s certainly been no decline in violent media since 1993. Perhaps Linden might argue that life itself is an “epic”. Though there is little or no tie between Left Behind Games and the CGO clan, I believe I am justified in assuming that these two organizations have similar ideals (since I learned about their existance via the same news article). I therefore find it upsetting that any organization would call upon Christians’ aforementinoed lust for murder as a means to spread its message to “share the love of God and His FREE gift of salvation”. This proposed sharing is questionable, however. So it seems that it is the goal of these organizations to pit “us” vs “them”. You’re either for Christ or you’re the Antichrist, which, according to dogma, means you are doomed to destruction (by no less than Jesus himself, according to answers.com) and eternal damnation. So, if I’m understanding Mr. Parker, he’s saying that mankind – sorry, “man” – has been abused to the point where he desires to kill those outside his “family” (again, contrary to recorded facts), and is so traumatized that he wishes he could have given his life for his god sooner. Not only this, but MOG provides a forum for Christians — excuse me, “men” — with similar aspirations of grandeur to congregate so that they can discuss their manly desires to be a revered conquerer and a king. What was that first commandment again? My purpose for bringing these quotes and my opinions to light is not to decry those with religious beliefs of any kind. I respect free speech above all and I believe it is of paramount importance that people are free to believe what they wish and to say what they please. The Internet is perhaps the one medium where individuals have the opportunity to broadcast their messages just as loudly as any established media corporation. It is with this same respect that I assert my own freedom of speech to demodulate the analog feed, as it were. I don’t think the individuals quoted in this article speak for the majority of Christians, nor are they particularly helpful in improving the religion’s face to the world (not that it needs improving) . I’m sure their intentions are good, and that they believe they are doing the work of God as he would do it himself if he played Counter-Strike: Source. That being said, these individuals do nothing but build brick walls between gamers. Where else but the internet do we appear physically as we (intelligently?) design our avatars? Where else are we stripped of everything but our words and actions, making us truly equals? I understand it is the way of humanity to understand the world by categorizing things into meta-data, but let’s keep that data meta by playing games WITH eachother, not AGAINST eachother. I deplore the assertions of barbarians like Mr. Parker that we are “born to fight”. For those who subscribe to such idiocy, there are quite enough theological spats on Earth through which you can satisfy your masturbatory self-righteous inner critic. Besides, if you believe god has given you any gift, that gift must be life. Why are you so eager to give it back? Cyberspace is so popular because it is a second chance – a second Earth with fewer restrictions. Carpe diem and allow yourself to be “born again” in this new universe.